AFC - Chinchilla Pelting In The U.S. It may come as a surprise to many, but pelting hasn't been profitable in the U.S. for about a decade now. Today the remaining U.S. chinchilla ranches sell their animals live as pets (pet stores, direct sales) or breeding stock (to other ranchers or pet breeders). This is because rising production costs in the U.S. have made pelting uneconomical as opposed to the situation in other countries where their socioeconomic status makes production less costly and therefore lower pelt prices don't affect them in the same way. 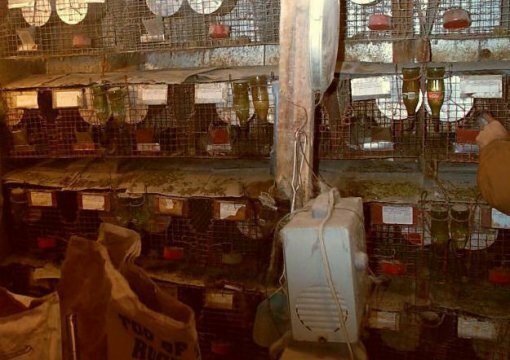 In the meantime, by ransoming these chinchillas from pelting, everyone wins: the rancher who gets wholesale rather than pelt prices, the pet community that gets to save and care for those chins in greatest need, and the chinchilla… who gets another chance at life! 3) So Why Pelt At All?